To say that Tequila and I have a chequered past is an understatement. Being invited to a menu tasting at a restaurant that serves high end tequila and it’s handsome cousin, mezcal, sounded risky. Especially on a week night. La Mezcaleria is the sister restaurant of Vancouver’s popular La Taqueria restaurants and offers a slightly less “taco-centric” menu of traditional Mexican food with an exceptional list of tequila and mezcal. Let’s start with the booze. Mezcal is made from the Agave plant and has a smoky taste that reminds me of single malt scotch from the Islay region of Scotland. Tequila itself is actually a form of mezcal made from the blue agave plant. I started the night off with a mezcal flight. 3 one ounce tasters that come with fresh squeezed lime juice and house made sangrita. I was told to drink the tasters in the order of the colours on the Mexican flag, Green (lime juice), white (mezcal), red (sangrita). It’s great advice, I tried drinking in different combinations and the proper way was easily the best. The fresh lime juice opens up the taste buds and enhances the smoky mezcal. The Sangrita is peppery and cleanses the palate between sips. Sangrita almost reminds me of a Caesar but it’s thicker and the flavours are more concentrated. The 3 mezcals I tried were Siete Misterios, Fidencio Clasico, and Rey Zapoteco. The Siete Mesterios was my favourite, I like the smokey undertones and fruity aroma. 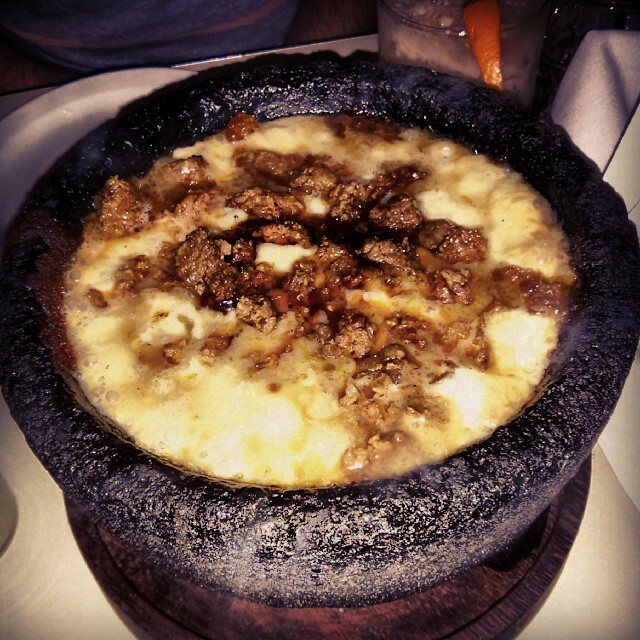 The first food to arrive was the Queso Fundido, a molten cheese fondue served in a volcanic (read incredibly hot) rock molcajete. I chose chorizo for mine but salsa verde is also an option. It comes with warm tortillas to scoop the molten cheese into. This stuff is like crack, I could eat this until my stomach exploded. The best part is the last bits at the bottom of the bowl that are crispy and a little burnt. Burnt cheese is so good. I could gush about this stuff for another 500 words or so, just go try it. For my main I had Parillada, grilled beef short ribs marinated in house made pasilla chile sauce with Mexican chorizo, nopalitos, toreado peppers and green onions. It came with warm tortillas and an assortment of sauces to add some flavour or heat or whatever combo you want. The short ribs were tender, moist and full of flavour, the chorizo was amazing and the onions and nopalitos were a nice filler. Nopalitos are diced cactus (prickly pear) stems, they’re quite good. Once again I was advised on how to construct my food for the best taste and once again the suggestion was much better than what I would’ve paired up. 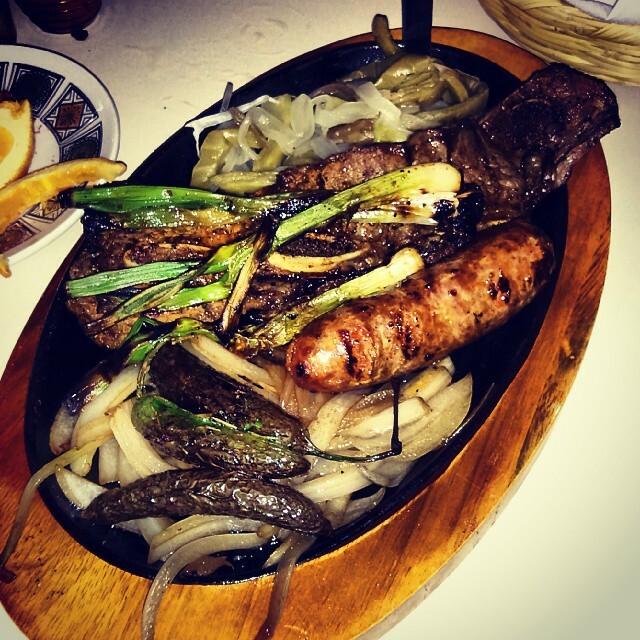 Eat the shortrib with the onions and the chorizo with the cactus, not all together. 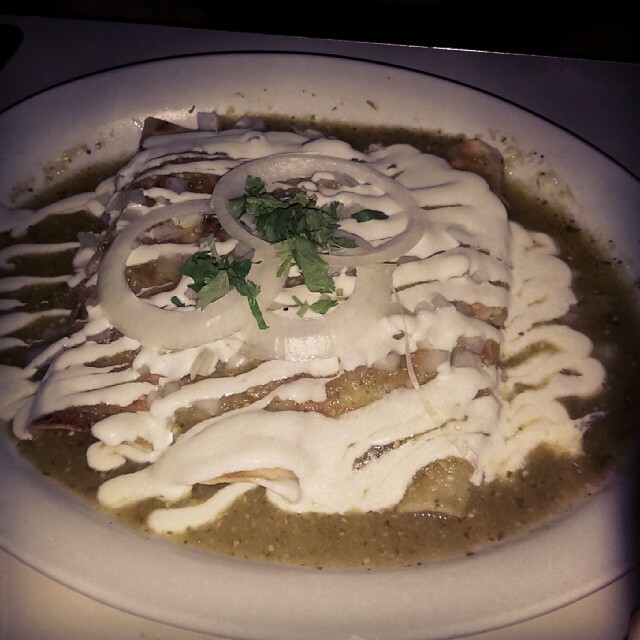 My dining companion had the Enchiladas Clasicas with chicken and green tomatillo. It was incredibly flavourful and produced a lot of colourful language describing how good it was. I didn’t have any but I trust their judgement. La Mezcaleria is located at 1622 Commercial Drive. 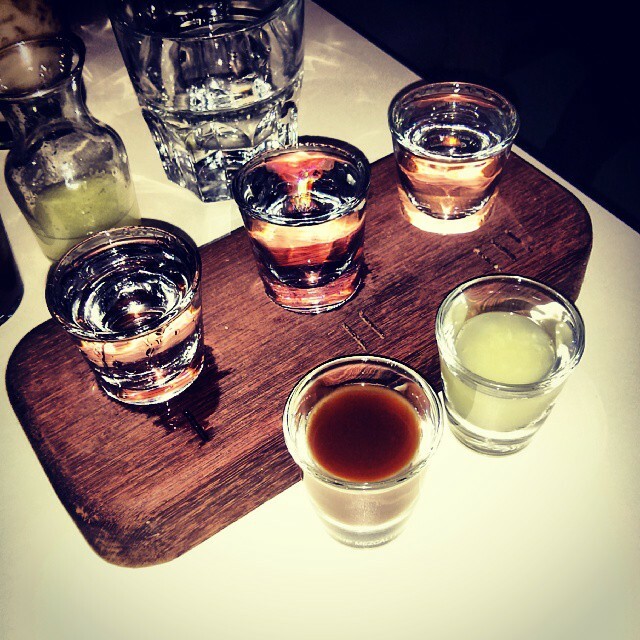 Karma stuff – The food and drinks for both me and my guest were provided free of charge by La Mezcaleria for review purposes. That being said I’m already planning my next visit, it’s fantastic. Peak Performance Project 2013, Vote Now!